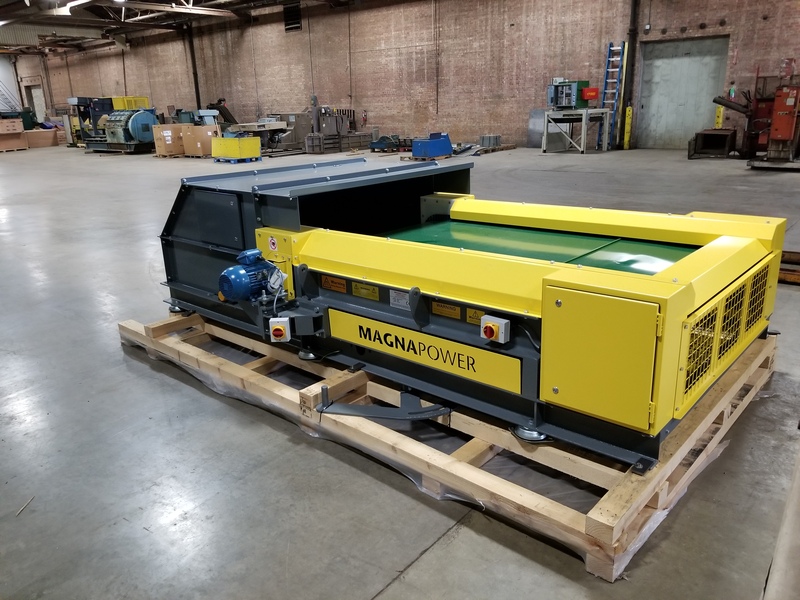 Field anti-leakage material increasing performance up to 50%. 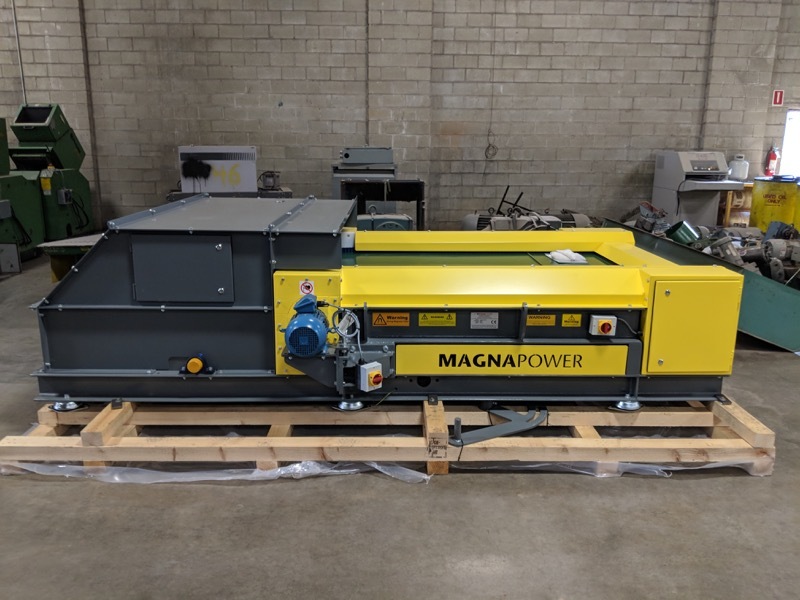 The Magnapower Eddy Current Separator (ECS) is suitable for a wide range of applications from the recovery of small non ferrous metals 2mm in size and above (fines) to larger shredded scrap metal processes. 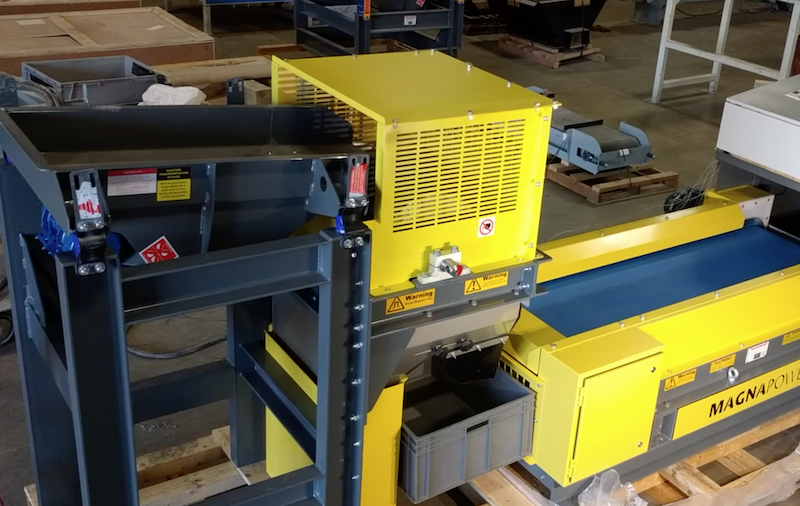 Optional: Add vibratory feeder, screen deck and magnetic drum.